A hoppy ale with loads of the best of the Pacific Rim hops Galaxy, Citra and Kohatu. An easy drinking session pale ale with a malty backbone using Australian pilsner malt and German Crystal malt. Our friends on the other side make these kits on Speidel 500L Braumeister Brewery, they are all grain and brewed true to style. We love a fresh wort kit, because sometimes you just don't have time or can't be bothered to make a delicious all grain brew. To make these fresh wort kits pop!, we do suggest a yeast starter. Either doing it per the yeast instructions, or via a magnetic stir plate yeast starter. If you're not familiar with yeast starters, please do some googling and make your beer better. 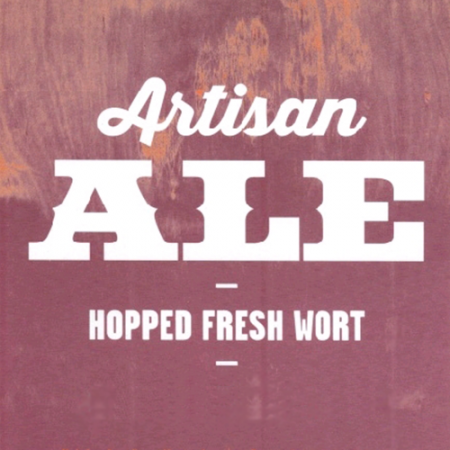 Artisanwort kits are generally designed to add 3 litres of water to the fermentation to achieve the ideal balance, you may if you wish, not add the extra water for a richer, higher gravity version. Approximate cube volume: 16.5L Plus 3L of extra water added. Grist make up: Joe White Pilsner 95% and Best's Carahell 5%. Late hops: Citra, Galaxy and Kohatu. Recommended yeasts: WLP001 - California Ale Yeast or WLP052 - California V Ale. Or dry yeast Fermentis SafAle US-05.